My decision to procrastinate with respect to the steam passages has worked, I think. Several suggestions have come in, and I am intending to go with the one from Stuart. And that is to angle the steam passages, which lengthens one on which I can use a larger diameter milling cutter, and to shorten the one under the steam port. See the red lines for the proposed changes. Red line plan alteration in the high pressure steam lines. The other cylinder plans will be altered also. While waiting for a light bulb to switch on regarding the dark places, I have not been idle. I moved on to a part of the triple expansion steam engine build which I expect to be easier. And that is the condenser unit. The condenser is the box shaped protuberance attached to the columns. I believe that its function is to convert the last dregs of steam, after driving the 3 pistons in succession, into water, for re-use in the boiler. 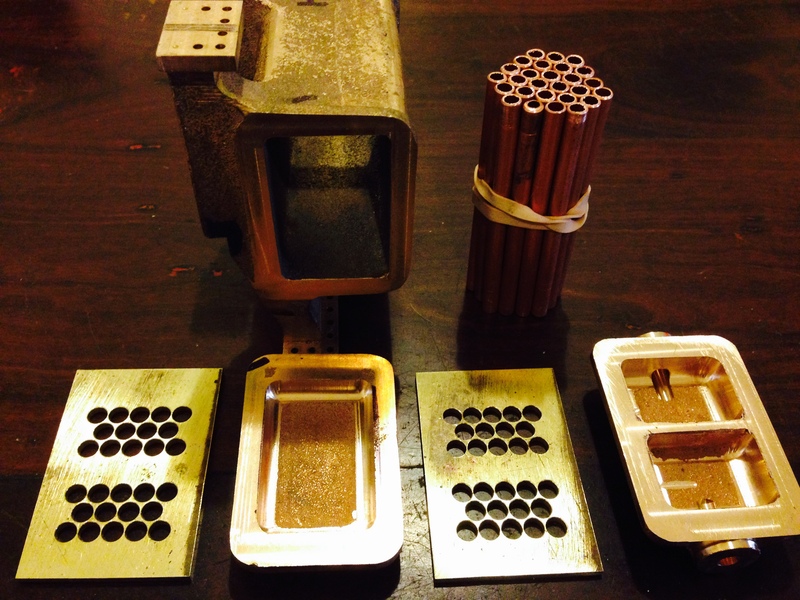 These are the components, machined and ready for assembly. The condenser components. There are 28 tubes, to be soldered into the holey brass plates. The holes in the end plates have 0.5mm of material between them. Tricky drilling, but a breeze for the CNC mill. 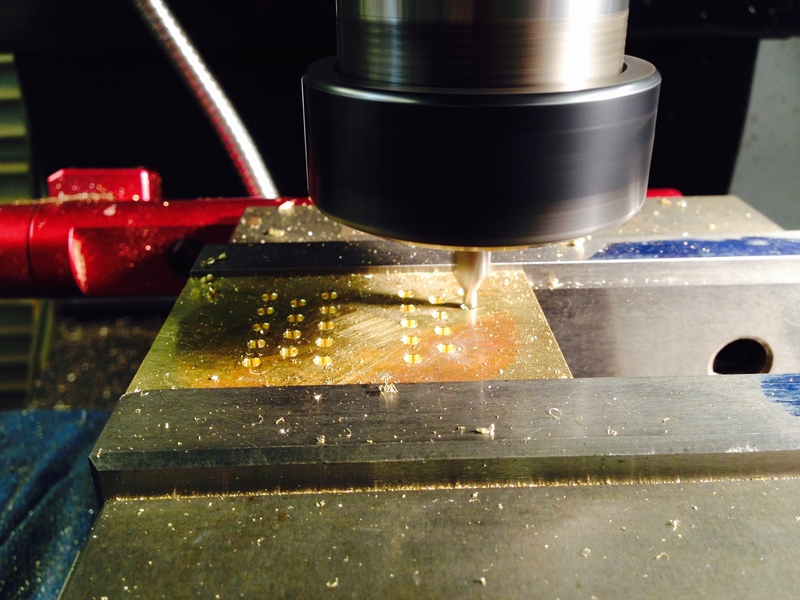 CNC drilling the end plates. Centre drilling initially. The 112 operations proceeded perfectly. Did I say before that I love CNC. 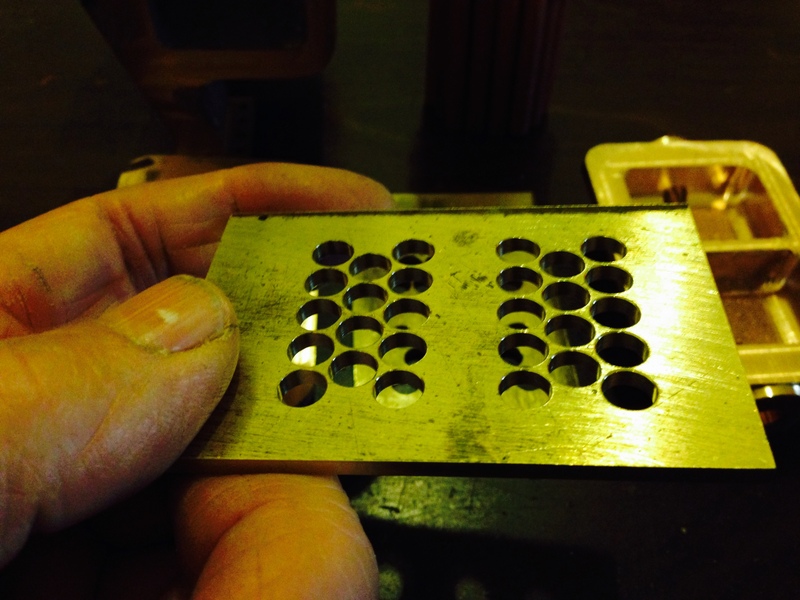 End plate holes. No breakthroughs, despite only 0.5mm between holes. 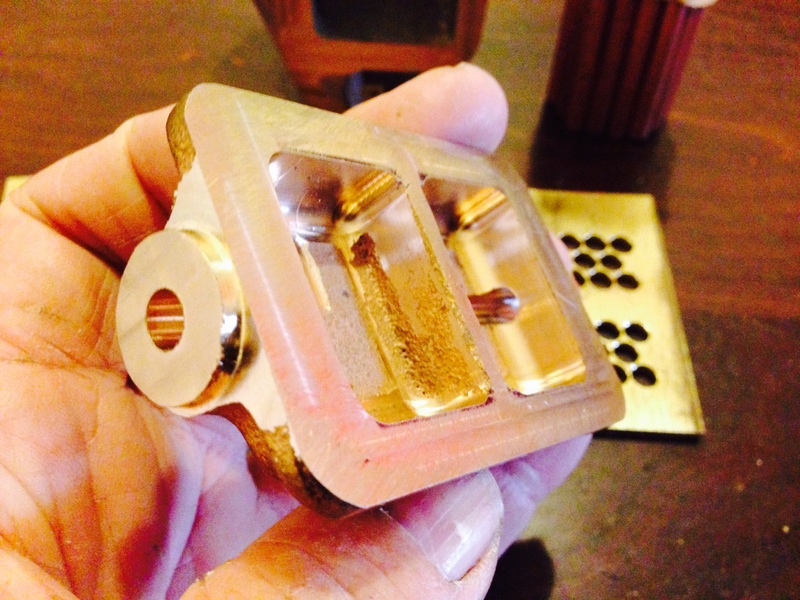 An end cover after machining. The bosses and holes were CNC’d. My name is Giacomo, from Italy ! I’m 38 years old, and I have a “start up” which is building a plant that produces electricity through the steam of a biomass plant. I saw the steam engines in your website, and they are beautiful! You might be interested to develop an engine for my business less beautiful and more powerful? I need to control costs, because my focus is to bring electricity in developing countries, and in those nations to find the money is a big problem! thank you for your very kind compliment. I must immediately admit that I am a beginner, having made only 2.5 steam engines, and they are other peoples designs. I am not qualified to help you, unfortunately. 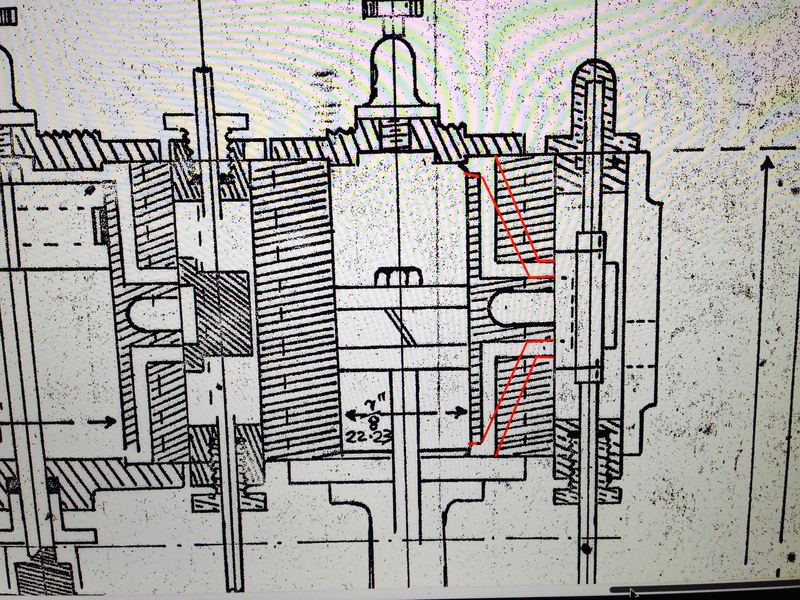 That’s probably the reason in a small installation- such as a tug- where carriage of the feed-water would be an issue, but in a big installation like a pump or generator it decreases the temp/pressure if the “after expansion” steam and increases Carnot cycle efficiency. Same for superheating – which improves Carnot efficiency by increasing the “before expansion” temperature and pressure. Multiple expansion can nearly double the thermodynamic efficiency of a steam engine (from 5% to 9%) but the effect probably isn’t real in models and we’d do better to focus on insulation, heat recovery.